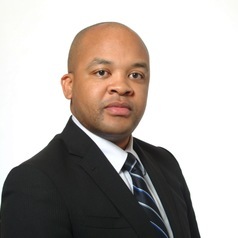 Lukhele is from Swaziland, he holds a Bachelor’s degree in Nursing from the University of Swaziland and a Master’s degree in Public Health from Kyoto University in Japan. While in Swaziland, he worked for the Swaziland National AIDS Program as the Pediatric National Antiretroviral Coordinator and non-governmental organizations – an experience that shaped his research curiosity. He is currently pursuing a doctoral degree in medical sciences with majors in Global Health and Socio-Epidemiology. Simultaneously he is pursuing Global Survivability Studies at Kyoto University and a Teaching assistant at the University. Additionally, he serves as a member of the Swaziland Scientific and Ethics Committee. He has a couple of research publications in the field of epidemiology about HIV in Swaziland, Democratic Republic of Congo and Thailand. His interests are Global Health and eHealth interventions. Fascinated by the application of technology in advancing health, he is the Executive Producer of a mobile phone serious game known as SwaziYolo. Since he started his research career in 2012, Lukhele has won two awards for his research work. He hopes his research can contribute to sustainable development. Other than research, he enjoys console games, cycling, and hiking.